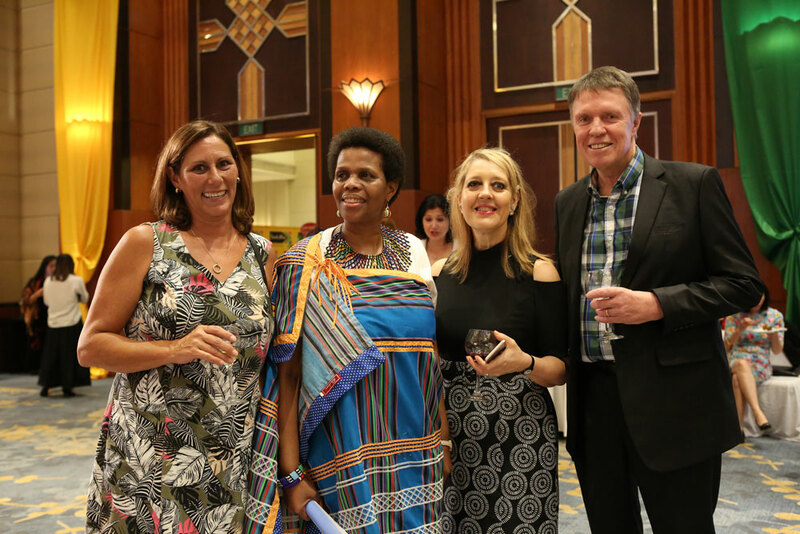 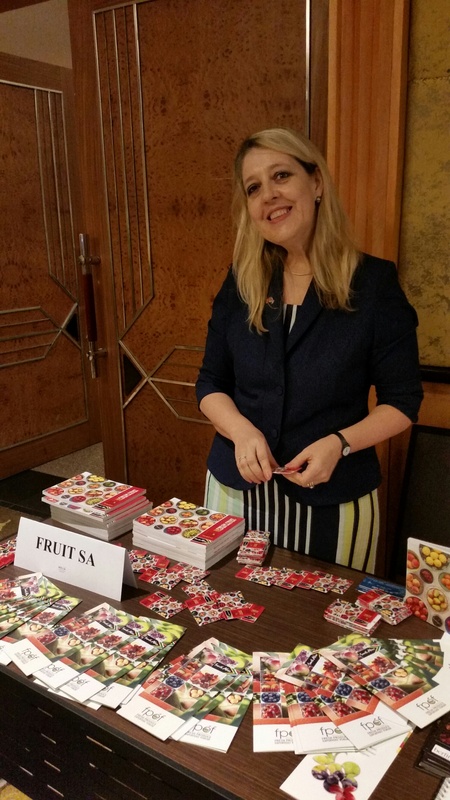 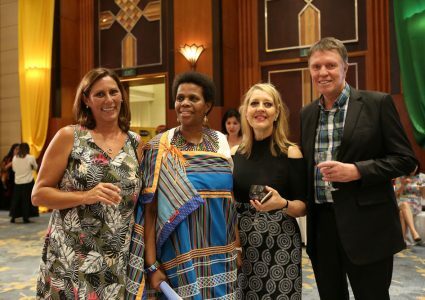 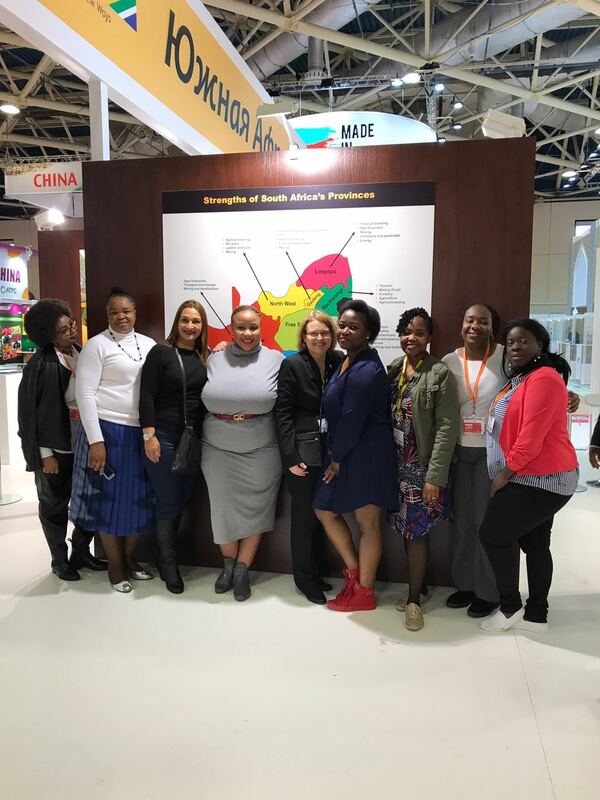 South Africa was well represented in Beijing. 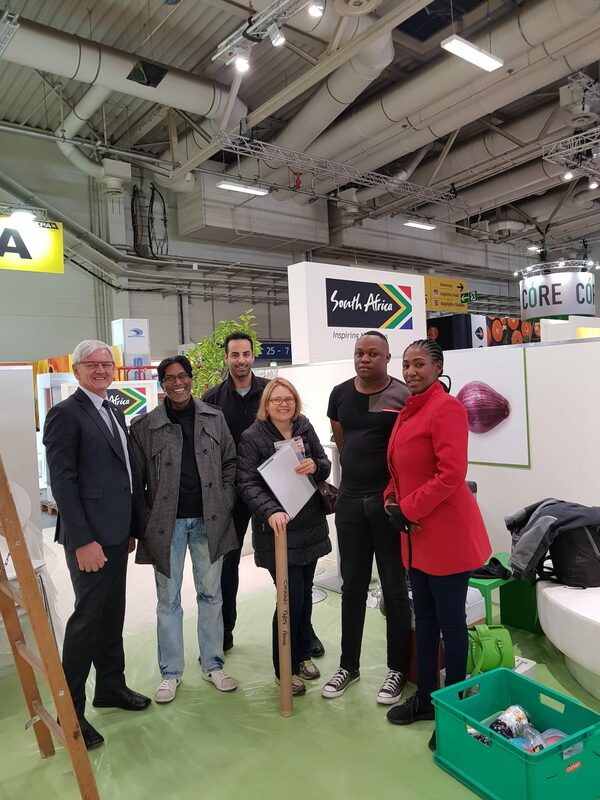 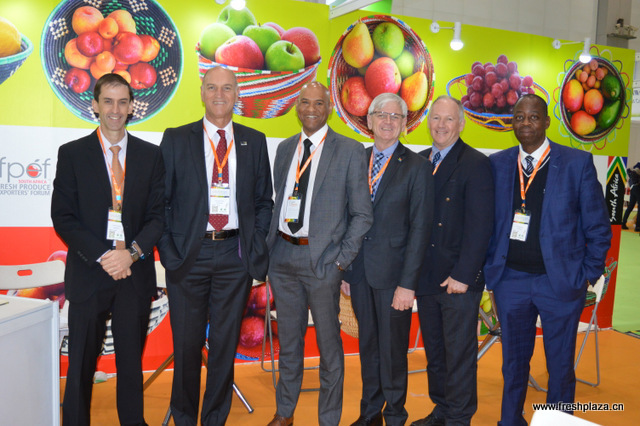 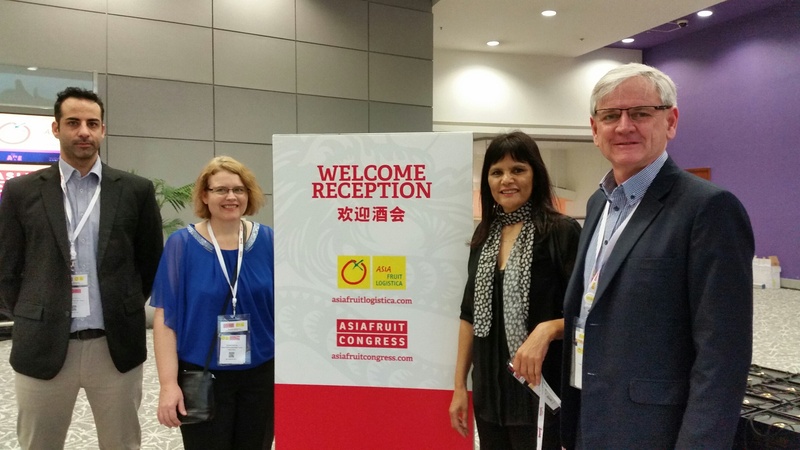 From left to right, Derek Donkin, CEO Subtrop; Willem Bestbier, CEO SATI; Lucien Jansen, CEO PPECB; Anton Kruger, CEO FPEF; Justin Chadwick, CEO Citrus Grower’s Assocation and Mono Mashaba, representing Fruit South Africa. 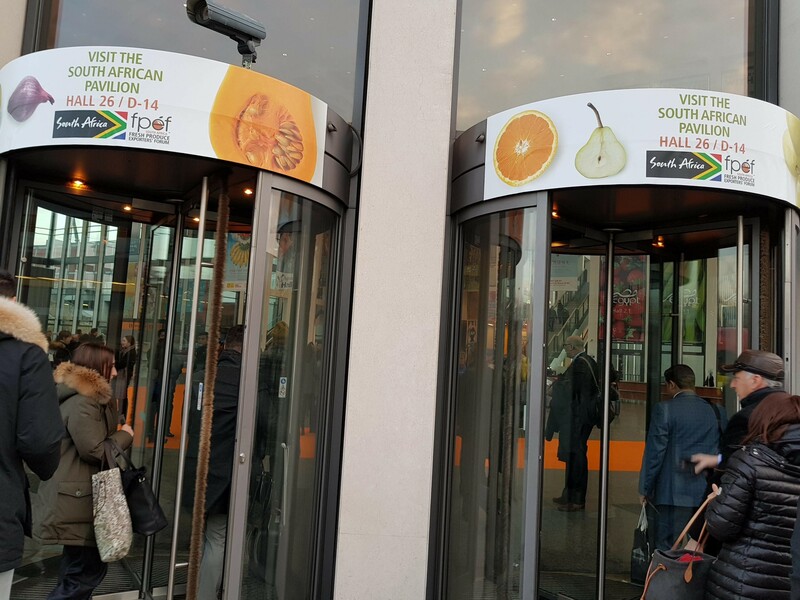 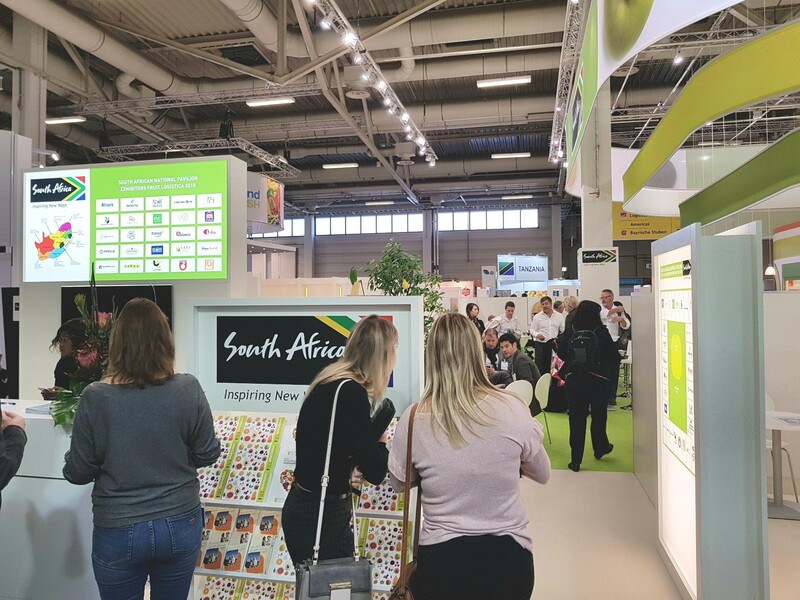 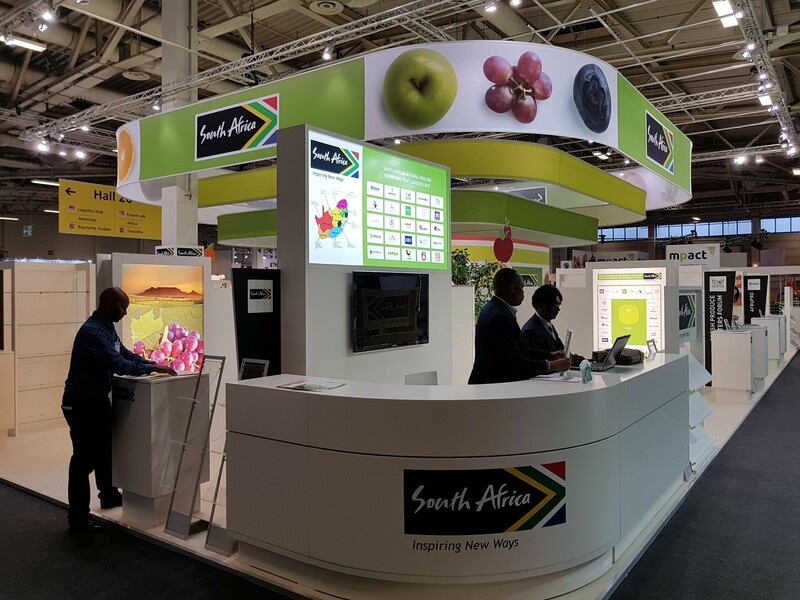 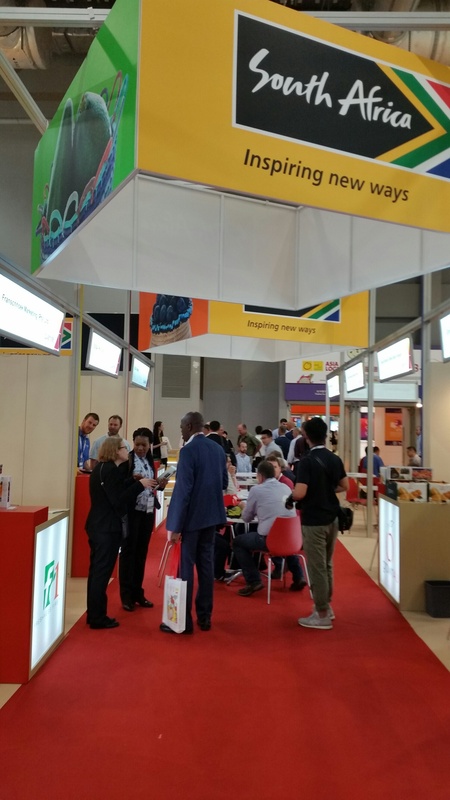 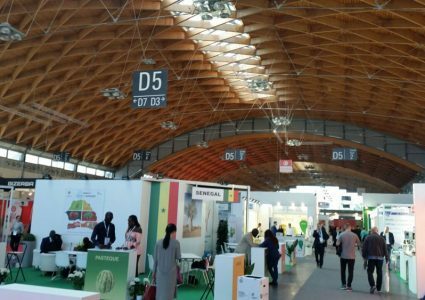 The SA Stand at World Food Moscow. 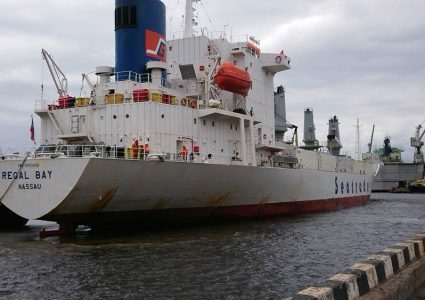 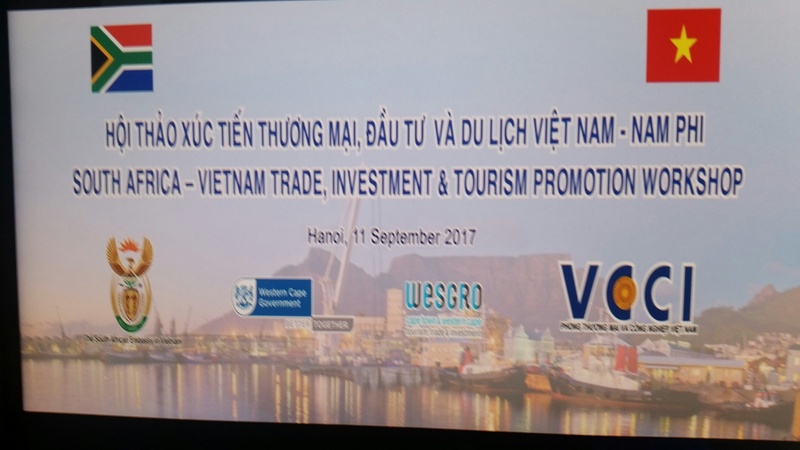 Seminar in Hanoi together with the WC Government. 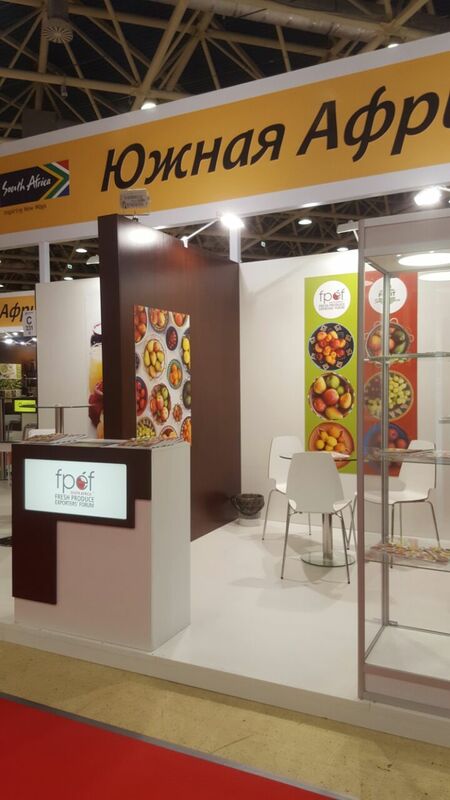 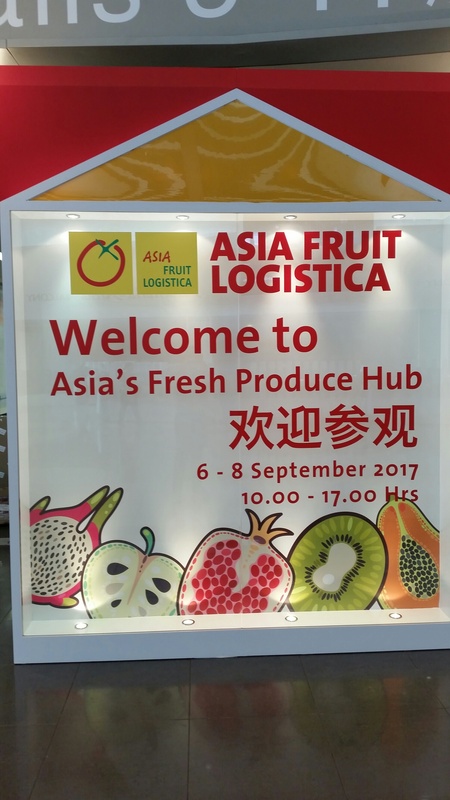 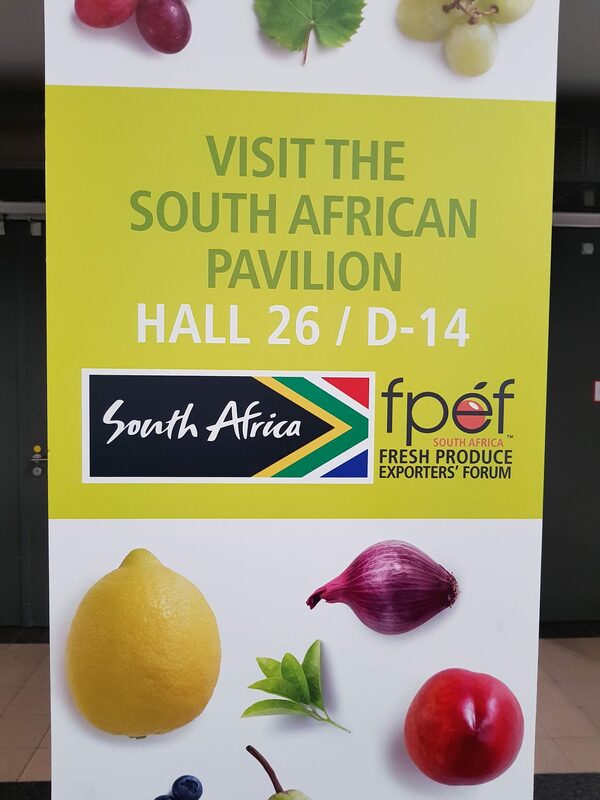 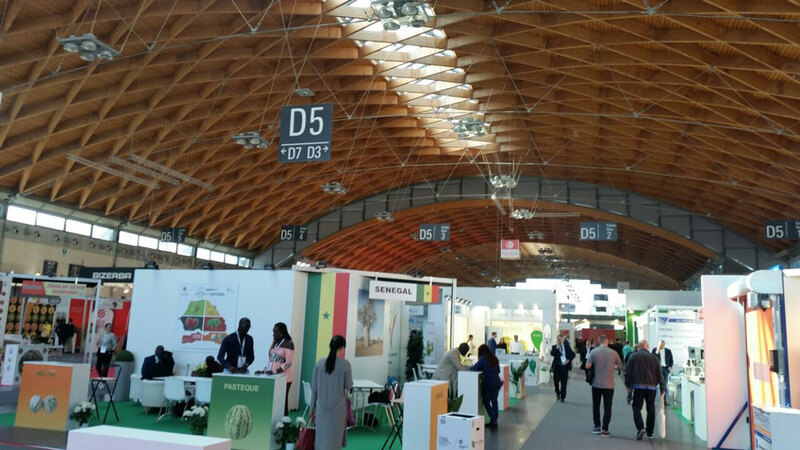 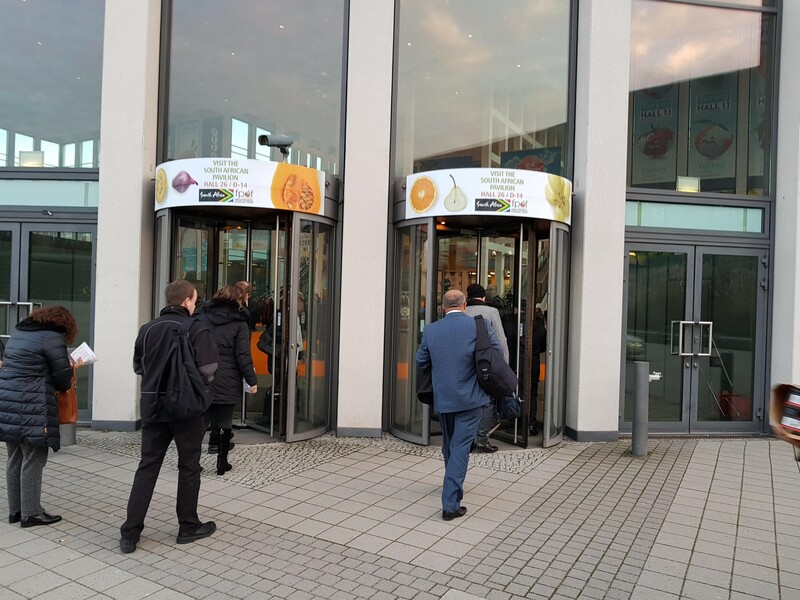 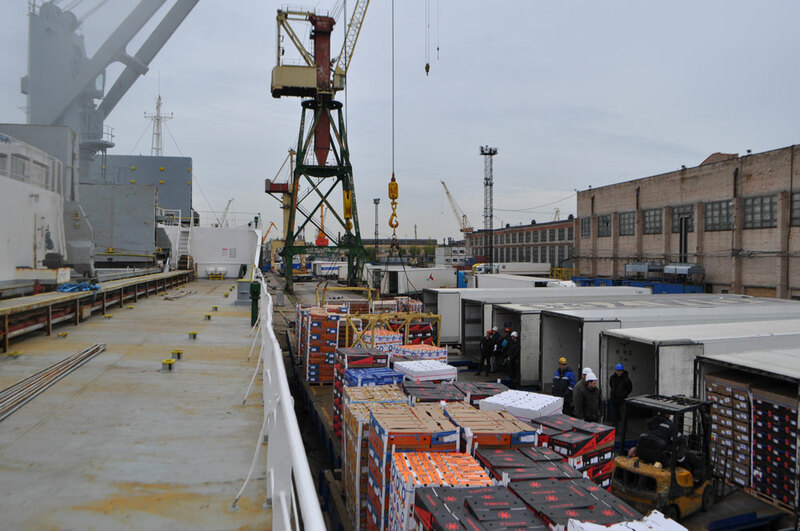 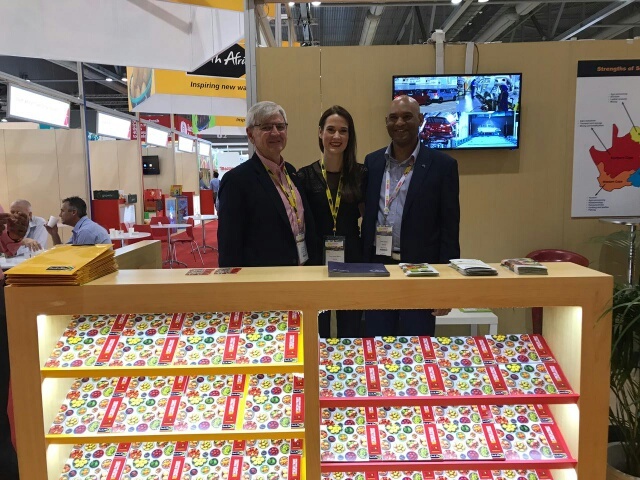 FPEF stand at World Food Moscow. 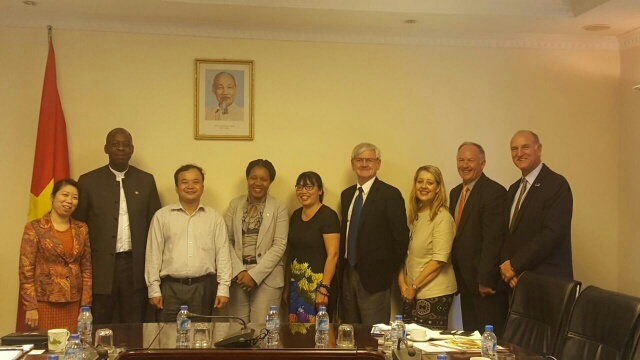 Embassy, DTI and Export Council representatives in Moscow.